Ceramic cookware material is actually best known for its great ability to withstand high temperatures. 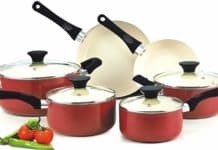 Ceramic cookware is ideal for broiling casserole tops or cooking foods that require high temperatures. They can be used in broilers, stovetops, and different types of ovens including microwave, steamer, toaster or even the conventional oven. Ceramic cookware pans are highly versatile kitchen appliances. Besides being used in ovens, they can also be used to preserve food in the freezer and serve dishes. 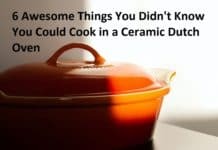 Ceramic pans can be used in the same way regular pans are used. 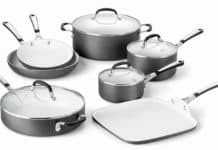 However, unlike conventional pans, ceramic pans are non-stick, non-toxic, eco-friendly and very simple to use. 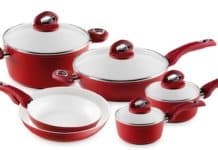 Ceramic cookware conducts and distributes heat evenly which makes the efficient for cooking any food. This property makes cranking up heat much easier. So begin by setting your oven or stovetop to low or even low-medium heat. 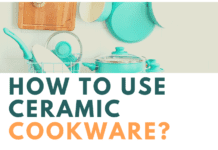 When using ceramic cookware, you actually require medium heat because overheating the pan could cause a thermal crack. Moreover, cooking at low temperature slows down the cooking while locking in the best flavors. It is recommended that you first allow your pan to warm up properly at low temperature for a few minutes before adding some food or starting your cooking process. After warming your cookware, lightly coat it with good-quality cooking oil. Kindly note that butter is not recommended for cooking because it has a low burn temperature. After your cookware has reached the proper temperature, you can lower the temperature of your oven or stovetop. This is because ceramic materials always retain heat for a relatively longer time than other materials. If what you are cooking does not require oil, for instance, if you are boiling eggs, you can instead use water to keep the pan moist. Additionally, you can add water if necessary to allow your food to continue cooking. The ceramic material is extremely sensitive to sudden temperature drops. Your cookware can easily crack when its temperature suddenly drops. Therefore, to protect your cookware from such damage, it is recommended that you first thaw any frozen food before adding it to a hot pan. Also, avoid adding cold water into a hot ceramic pan. Always keep an eye on the pan even when you are preheating it. The ceramic cookware is ideal for slow cooking and to be more specific for preparing vegetables. Allow the oil to heat and melt. Once it is well heated, you can lift the pan and swirl it to ensure even distribution of oil. You should only add ingredients to the pan when you are sure that the oil is properly heated. Afterward, you can add the food you want to cook in the pan. A plastic spatula or spoon is recommended for stirring. You can also use a large plastic utensil or a wooden spoon. Plastic and wooden utensils are great for stirring because they do not conduct heat hence safe. 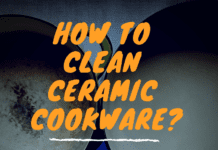 Ceramic cookware has high resistance to stains and scratches. Avoid sharp items because they can damage the cookware itself or its non-stick coating. When using ceramic cookware, always ensure that you set the temperature of your oven or stovetop appropriately depending on the type of food you are preparing. Also, be careful when handling hot pans especially when checking the cooking progress. The cookware handle may get extremely hot after long hours of cooking. Therefore, it is important to use a potholder when handling hot pans to prevent burns. 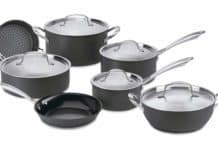 To protect the non-stick property of your ceramic cookware, it is recommended that you use coated utensils with a Calphalon ceramic non-stick finish. Alternatively, you can use wooden or plastic utensils but always avoid metallic utensils or cleaning materials. Moreover, you should avoid using sharp appliances or instruments including electric mixers on your ceramic cookware. Such appliances can easily damage the pan itself or its nonstick property. After cooking, allow your ceramic pan some time to cool down completely before washing it. Avoid immersing a hot ceramic pan in cold water because the sudden temperature drop can cause an irreparable warping. Hand-wash your pan after it has cooled down and hang it on a pot rack to dry for later use. Ceramic cookware pans are made from an inorganic and non-metallic material. 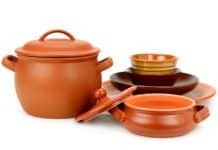 Ceramic is non-toxic which make ceramic cookware ideal for cooking healthy foods. 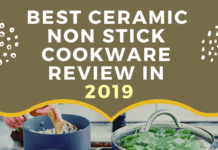 Ceramic cookware is well-designed for everyday kitchen use. They are stain and scratch resistant. 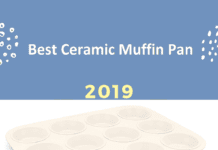 By following the above guidelines, you will find that ceramic pans are easy and simple to use. Additionally, their versatility makes them a great kitchen companion. 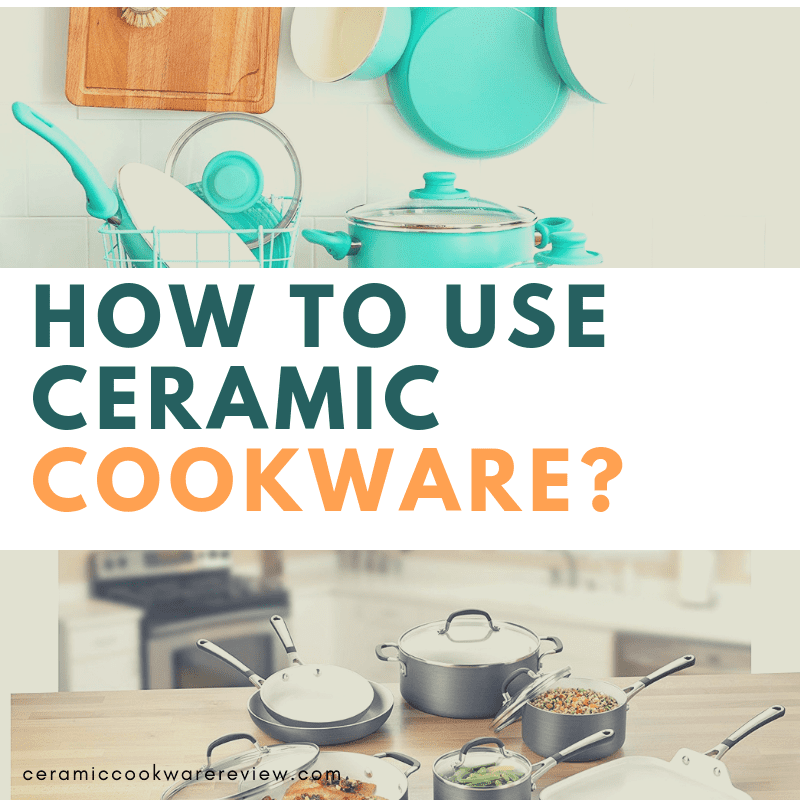 As previously mentioned, it is very important to allow your ceramic cookware to first get warm at low temperature before adding any food or oil. First, warm the pan then coat it with oil to prevent food from sticking on the cookware. Ceramic cookware pans are very efficient. Simply follow the above guidelines and you will always have your meals ready within a very short period of time.